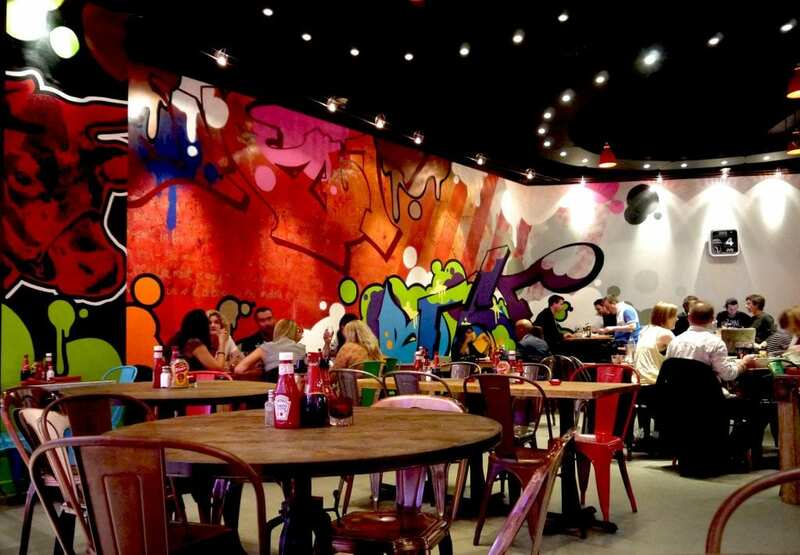 Cattle Grid commissioned Soulful Creative to create a 60’s pop art, graffiti and graphic inspired feature wall for the opening of their new flagship steak and rib restaurant in Kingston-upon-Thames. 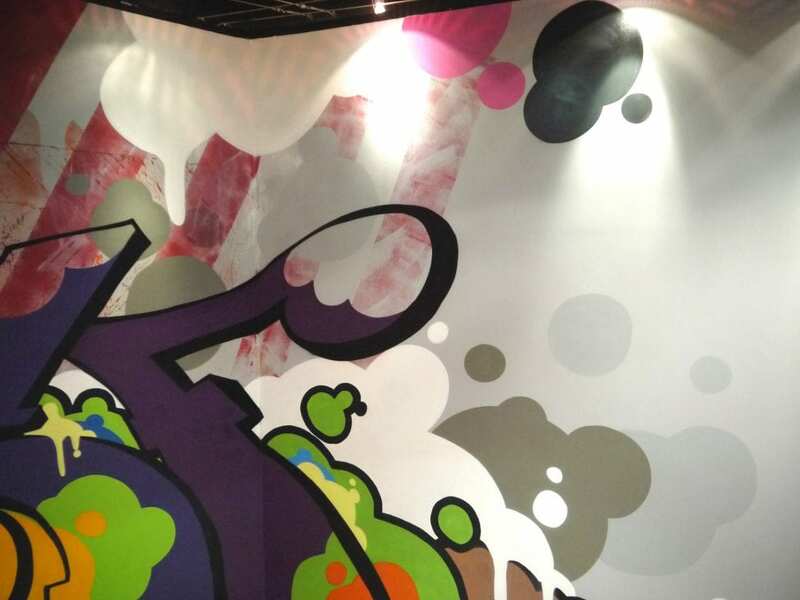 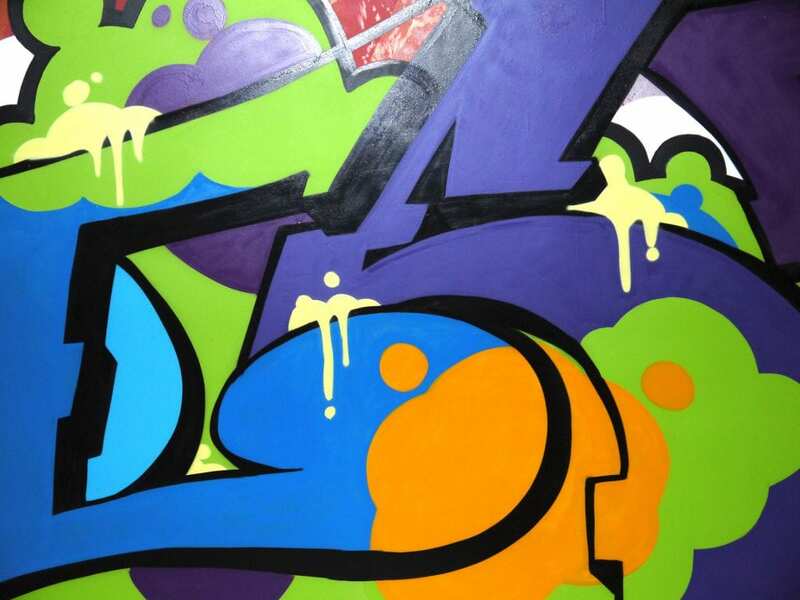 We created a bright and vibrant 54m mural using a mix of spray, emulsion and acrylic paint. 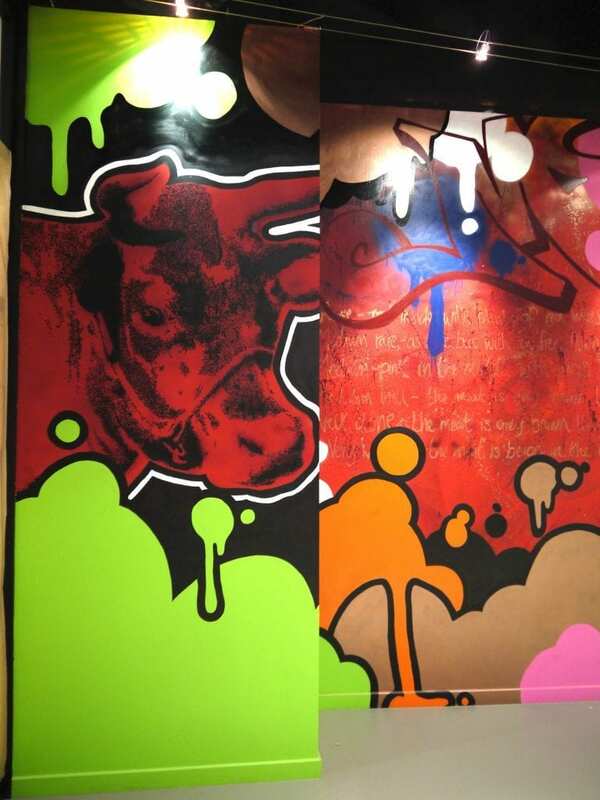 The Warhol-style screen printed cow was meticulously painted using cotton buds to achieve the original’s print effect. 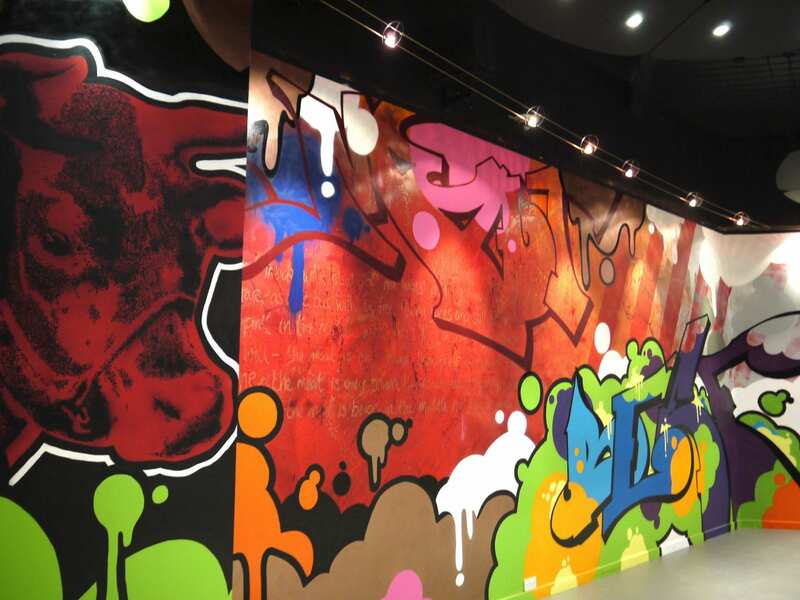 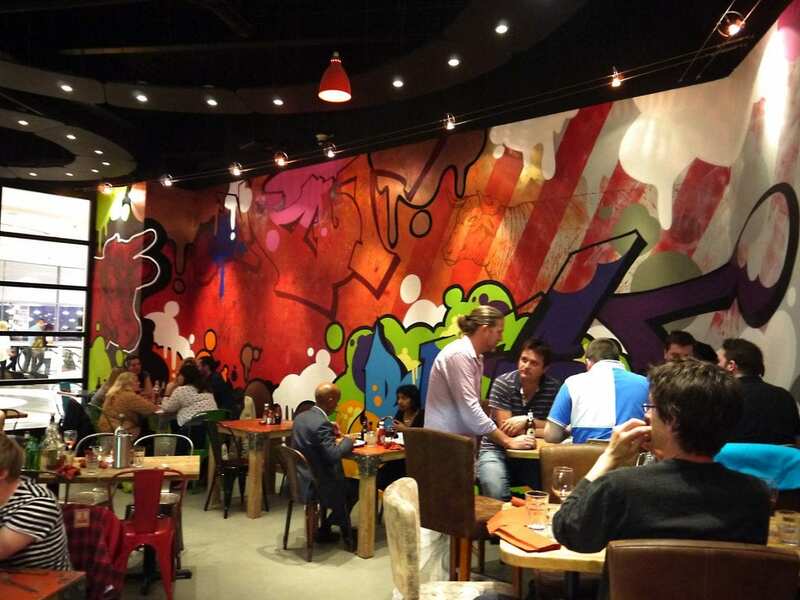 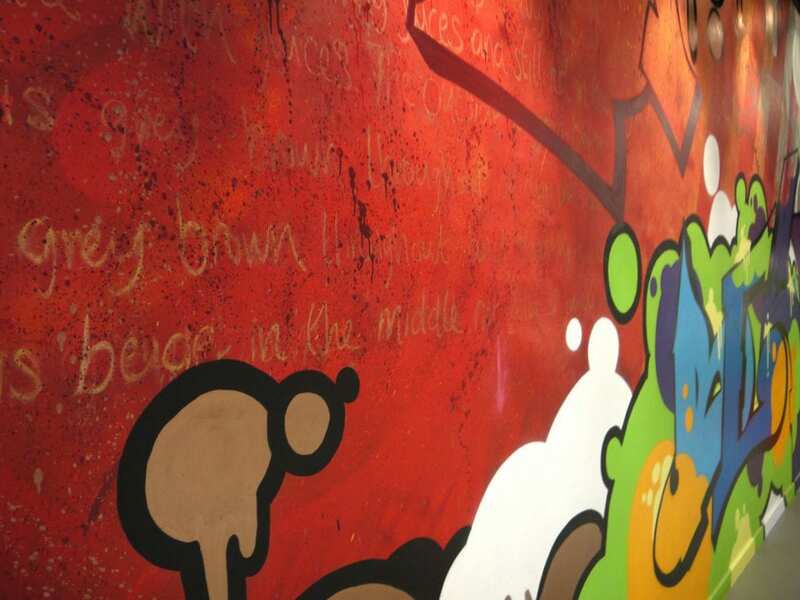 The mural background has the texture of the marbling in a steak, with the words ‘meat’ and ‘beef’ written in graffiti. 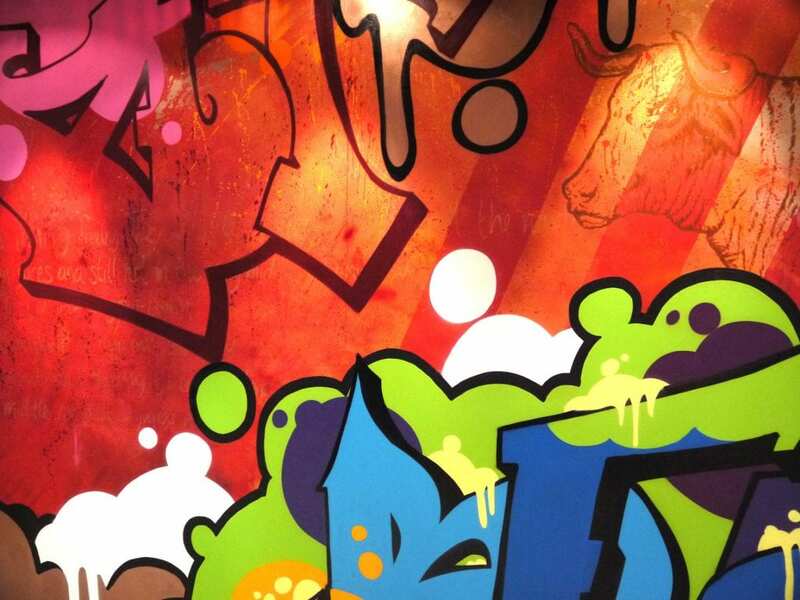 Another cow illustration is painted in bronze acrylic. 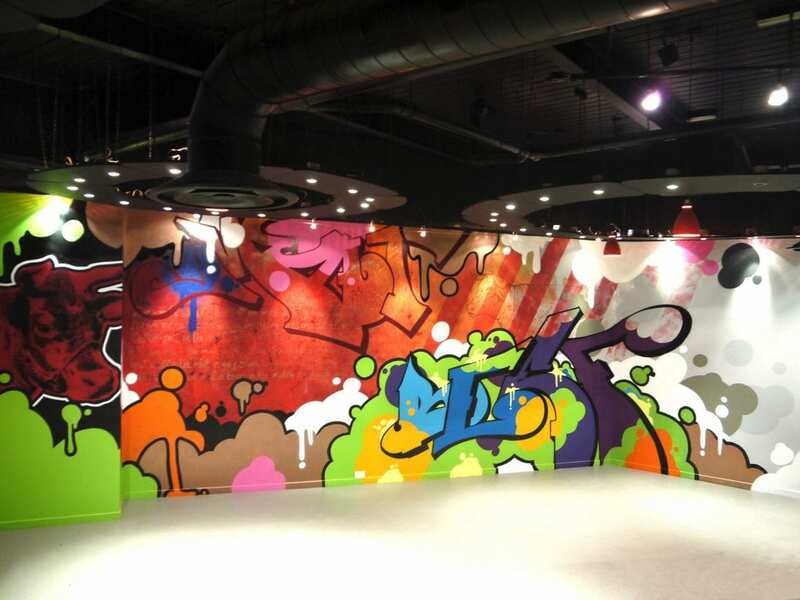 The company’s brand is referenced by the five diagonal lines which help hide the 45 degree corner of the wall.